Each year, the mystery of the Nativity invites us to contemplate with awe and to respond with joy. 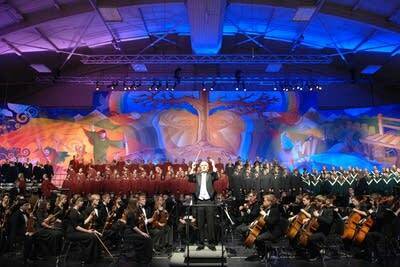 Music of contemplation and music of joy are both featured in this season's Concordia Christmas Concert. Highlights from the 2017 concert, From Heaven Above to Earth He Comes, feature the combined choirs and orchestra of Concordia College in Moorhead, Minnesota. Contemporary and traditional works (including a tribute to Leonard Bernstein) are brilliantly and lovingly presented in this yearly holiday treat, hosted by Steve Staruch.